Fast forward to about the 1:18 mark. "Pride!? You know I despise that word Martin. Pride is like a toxic chemical in the garden of love, & Gina is your flower in the garden Martin. If you nurture her, cherish her, she'll return that love with the full glory of the blossoming of her fragrance. But if you choke her with that weed called pride Martin, both your love & hers will wither & die." This has to be one of the episodes of Martin I remember better because Martin went literally from the bottom and fought his way back to the top to get Gina back. He did any and everything til the last thing he had left was to make a fool out of himself. But the main reason I love this episode is because of that OG advice that is missing from today's world. I cherish my elders who have matured and tell me stories and give me advice off their past mistakes and life moments. They literally saw it all and they don't mind sharing faults and failures with the younger people when they messed up. If you go back to my old post "A Conversation With My Elder" you see I received some similar on a subject matter the same. Well I was eating some dinner and watching some episodes and this happened to come on. 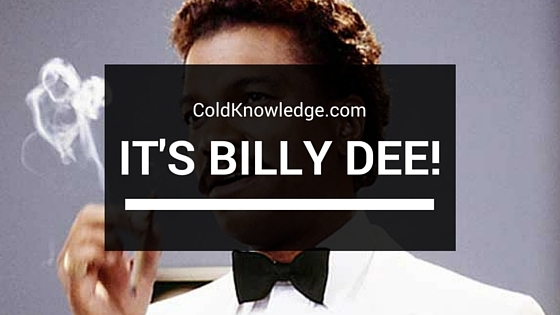 From the moment he sat down til the moment Martin ran out that door, Billy Dee schooled Martin the way only real men can. That's something the television is missing these days, those moments when you can sit and apply situations to real life moments. But none the less, that statement holds true for a lot of situations for a lot of men. But none the less, I just had to get a quick post out there on one of my favorite scenes from one of the classic television shows out there.